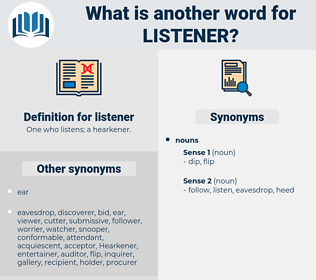 What is another word for listener? One who listens; a hearkener. 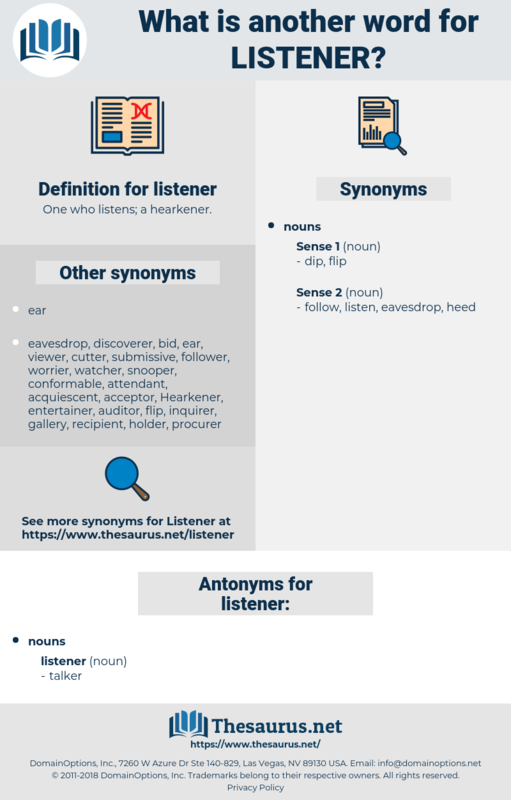 Eavesdropping, earpiece, audience, listening, listen, interlocutor, viewer. We have a listener, and does it not strike you our conference should be private!" The Princess had spoken with such enthusiasm that at last she paid no heed to her listener.